In a dry land such as Australia, droughts are expected every year, so people have to be more creative when it comes to looking for alternative water sources, and the most notable of which is rainwater harvesting. 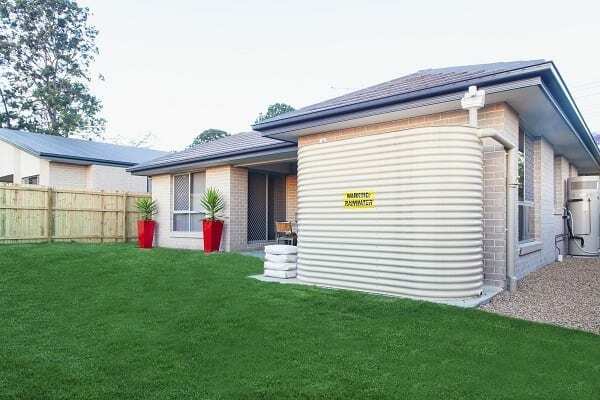 Since the colonial times, Australians have been collecting rainwater for home use, and now even modern homes have rain water tanks in Perth, which homeowners use to flush toilets, fill washing machines, and even water their garden. The popularity of the rain water tank as a home peripheral lies on its proven advantages, such as aiding in the reduction of water bills and providing an alternative water source during water constrictions caused by droughts. Moreover, it could help in maintaining a green and healthy garden and, depending on its size, in reducing the use of mains water by as much as 100 percent. It appeals to more people because of its simplicity in operation—you don’t need to worry about water levels in dams when you could utilize the amount of rainwater falling on your roof. Well-designed and well-maintained Perth water tanks can be deemed suitable for home use. While it might not be advisable to drink collected rainwater unless you have the suitable filtration in place (and it is still recommended to use the public reticulated water supply for drinking and cooking), there are a lot more uses to it that could help increase savings in mains water, since drinking and cooking only make up a small portion of the amount of water used at home. These include lawn irrigation, toilet flushing, clothes washing, and showering (although great care must be exercised in using rainwater for bathing and ensure that there are no particles floating around). To have an effective rainwater harvesting system, check first for the components, including the roof and gutters, the collection system (which contains leaf-shedding rain-heads and first flush diverters), the tank, and the supply system. You can browse for steel water tanks in Perth from manufacturers, such as Rainfill Tanks & Curved Roofing Supplies, but before that you must determine how you plan on using the harvested rainwater, in which you will also have to put into consideration the material your roof is made of. While rainwater can be collected from almost any roof type, having lead flashing and asbestos sheeting on your roof is usually discouraged when you intend on collecting rainwater. It’s also essential to clean the roof and gutter before installing a water tank for your rainwater harvesting system. In 2013, 34 percent of Australian households have installed rainwater tanks in their homes, and it’s not that hard to see why: rainwater is an essential resource that provides renewable supply of water that can be used for a range of purposes.